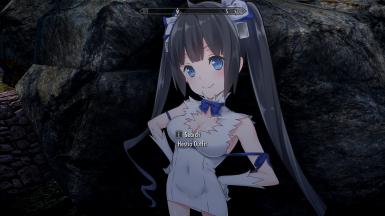 An outfit mod inspired by Hestia's clothing. 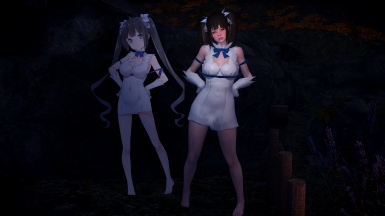 Comes with three outfit pieces, body, gloves, and sandals. Craftable in leather station. Pieces can also be found at a custom container outside of Honningbrew Meadery. 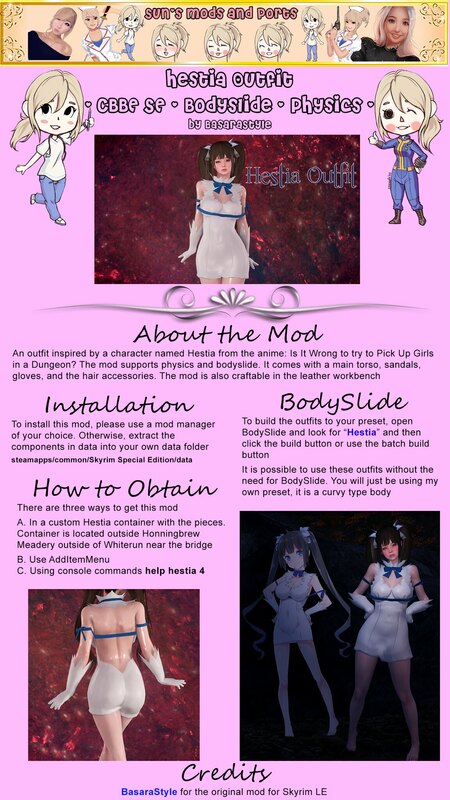 Please contact BasaraStyles for permissions for conversion.